Welcome to Regal 32 express yacht charter out of Marina del Rey, an exciting day over the water is right ahead. 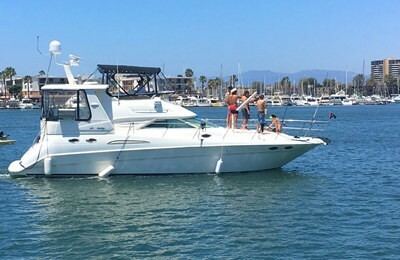 The Regal 3020 express cruiser is well designed for a day cruise,comfortable cockpit saloon and spacious lower deck saloon area offer everything you need, you can have BBQ over the water, or laid back on front deck. Experience the wind and ocean breezes, the colorful harbor, skyline of Los Angeles, and miles of beach from Malibu to Palos Verdes. You will take a scenic ride to see romantic Venice Beach and famous Santa Monica Pier from the ocean. 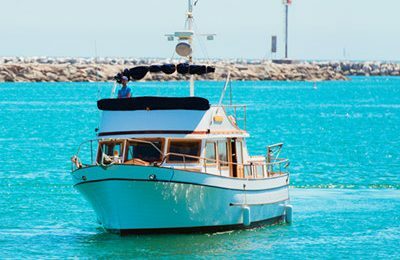 Being surrounded by dolphins and seals while floating along Santa Monica bay, the journey is just like a dream. Returning to harbor before dark, along with breath taking sunset on your way. Unforgettable moments await you. 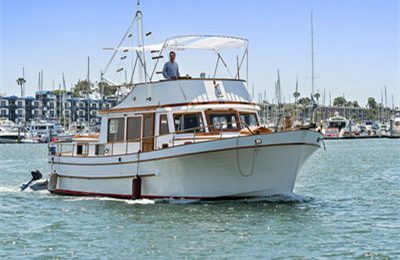 Base price includes 2 hours private yacht charter out of marina del rey, up to Santa monica pier. Yacht rental, fuel,captain are included. A 32 feet ( 9 meters) Regal 3020 express cruiser in excellent condition. Equipped with under deck salon, kitchen and a head(restroom),BBQ grill available. Fishing, swimming, Handling this power boat is available upon request.